Dr. Tracy Kawamura is a board-certified optometrist who is DPA and TPA licensed to use diagnostic and therapeutic medications. She is also DEA certified to prescribe medications for the treatment of ocular pathology. 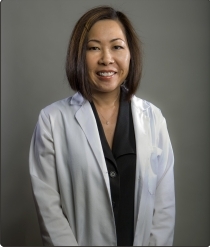 Dr. Kawamura graduated from the Southern California College of Optometry in 1991 and has been in practice at Stein Optometric Center for fifteen years. She earned her undergraduate degree at California State University, Hayward with a major in biology and a minor in English. She was awarded "Most Outstanding Biology Student" at CSUH in 1987 and is also a published poet. Dr. Kawamura currently resides in Manhattan Beach.